The Beeston Group is expanding!! Suffolk and Norfolk based The Beeston Group have purchased 28.5 acres of land on the Suffolk Coast and plan to build their biggest and best campsite yet. 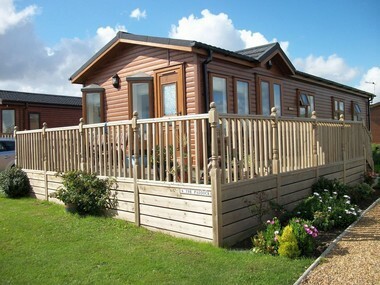 Buoyed by the growing success of Beeston Regis and Cliff House Holiday parks, which are fully booked out for every weekend this summer, the group says it is well on course to expand and reinvigorate the camping and caravanning industry in the UK. The group, which already has eight sites along the Suffolk and Norfolk coast, believes it has restored the image of the campsite with its luxurious locations. The Kessingland site will offer bell tents, yurts, luxury log cabin style holiday homes and ‘glamped-up’ tents complete with cast iron beds and luxury camping essentials to house glamorous staycationers who are increasingly holidaying in East Anglia. Managing director Timothy Hay said: “The Kessingland site is only 11 miles from Dunwich, as the crow flies, so we are excited about the synergy between the Parks and the dual benefits this will bring to the business and to the local area.” The group says it is working closely with the local authority on how best to engage with the local community. “This is the perfect time for us to expand,” said Mr Hay.